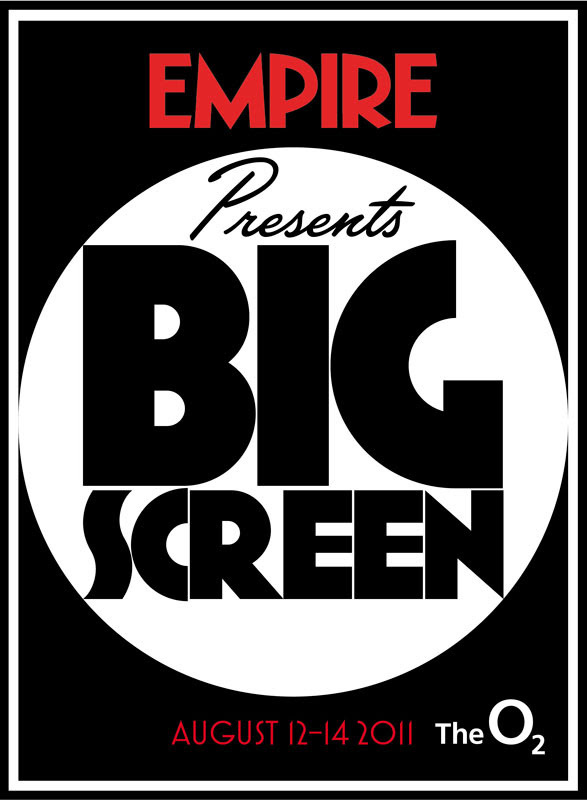 Day 1 of Empire’s BIG SCREEN had come to an end. And what an absolutely marvelous day it was. Like all my Christmases rolled into one. Empire promised that this year the event formerly known as Movie-Con was going to be BIG (SCREEN) and it was. Taking all the elements I love about film and housing them under one roof. 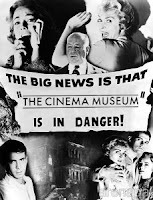 I was unsure of what to expect of BIG SCREEN, in previous years Movie-Con has been held on the fairly familiar territory of the BFI and I had grown quite familiar with its intimate and fun format. The Empire team proving to be just as much of a draw with their accessibility and friendliness as the mega stars that they brought along to interact with Movie-Con / BIG SCREEN audience. From what I can gather the above made for some special personal moments and memories for attendees that will stay with them for their rest of their lives. There are so many highlights and everyone’s personal highlights seem to be different, so it would be pointless for me to try distilling them down to a 10 point, slow motion, scored, montage here. Heck I might do that in another post. In fact yes I will do that (in another post). 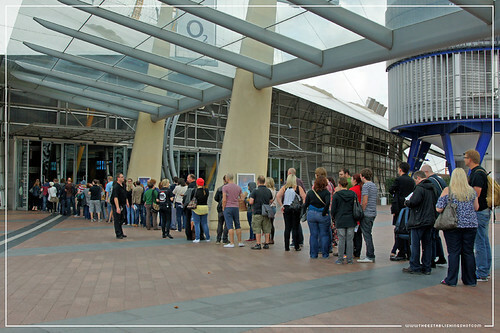 When it was announced that Movie-Con was going all BIG SCREEN and heading over to the O2 (the only man made structure visible from space in Greenwich, London) it was a bittersweet moment for me. I felt a little like I did when LOST or The Wonder Years ended or when I saw Star Wars™: Episode I - The Phantom Menace. And I slowly realised a part of my second childhood may be slipping away forever. Immediately concerns that my personal Movie-Con experience made with such seeming bespoke care and attention by the Empire team was to be replaced with a BIG SCREEN soulless corporate version of the event formerly known as Movie-Con. Much of this was derived from the fact that Movie-Con was a fairly effortless event for me – I could get from Door to door in about 25 Minutes. And for a £35 entry fee we didn’t mind knowing what was going to happen over the weekend or if there were changes or time frames were completely out of whack. I was just happy to be there and the Empire team smoothed any kinks out with their effortless professionalism and customary courteousness. In contrast BIG SCREEN was pricier, but we never received a proportionate level of comfort of what would be happening over the weekend or whether the ticket price would deliver an equal value. Also the O2 is at least 15 minutes further away ;). Fast forward to Friday 12 August which may or may not be Day 1 of BIG SCREEN as the Cowboys & Aliens premiere was held the night before . But it was definitely my Day 1 of BIG SCREEN. Using both the press schedule as well as the regular timetable I planned my day. There were many overlaps and even though some events/panels would be held more than once, sadly I had to be prepared to miss some bits that I would have otherwise been very eager to attend. But having a press pass would hopefully allow me to almost seamlessly dip in and dip out of sessions that I wanted to attend. 17:30 – 19:30: Jameson presents Secret Screening! There was loads more things to do at BIG SCREEN in fact “over 250 incredible things to do” including films running the entire day, but conceivably the above were the sessions that I could possibly make in some shape or form. Also I added some of the screenings above because I wanted make comment on them. As I made my way to North Greenwich on the Jubilee Line, sitting in a tube carriage knowing smiles and nods being passed by complete strangers from one another - as we acknowledged the almost secret club we belonged to - only recognizable to one another by our smiles and or film/character related clothing. Despite being early on a weekday most of the carriage exited at the O2. Making my towards the O2 I passed the already growing queue, thankfully I made my way through the entrance without much ado, passed the crowds on the inside looking for BIG SCREEN like changes to the O2 and soon found myself in the rather swanky Barclays Premier Lounge where real journalists and bloggers like myself would be camping out for the next 3 days. Special thanks to the PR team for outstanding efforts over the weekend as well as the catering and putting us in such a decent space. I checked in, updated my schedule based on last minute changes, surveyed the throng of reporters in the room huddled over their laptops for a friendly face and grabbed a cup of coffee & croissant as I headed out to my first session. 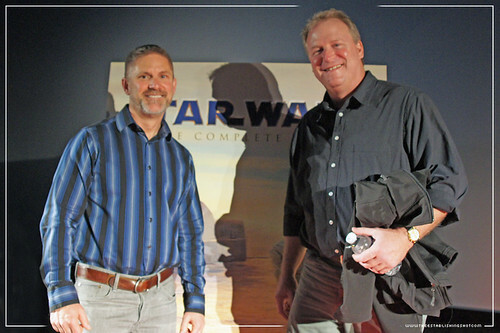 Fans everywhere, attendees will hear from key members of the team from Industrial Light & Magic as they take us on a journey behind the scenes of their beloved films while revealing new content which will be found in the upcoming release of Star Wars™: The Complete Saga on Blu-ray. Despite feeling let down by George Lucas and having to come to terms with the fact that Star Wars™ is now for another generation I have more Star Wars™ merchandise than any grown man should have and I still cling to my childhood memories of how the original Star Wars™ trilogy swept me away and my thoughts of how I could not believe that someone actually made a film that so completely transported me away to “a long time ago, in a galaxy far far away” and created a world with a history and mythology that enveloped me. Also the most expensive book I bought myself while still making my bones was Industrial Light and Magic: Art of Special Effects, which was ridiculously expensive back in the 80s in the old country but was a source of much inspiration . 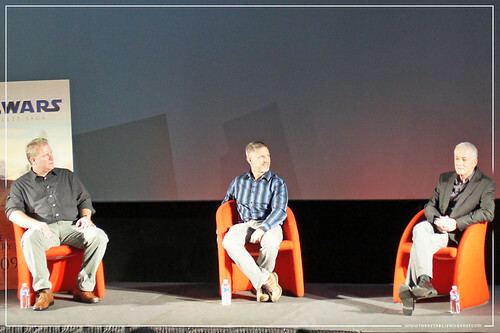 So how could I resist listening to Anthony Daniels (C-3PO) host an ILM Star Wars™: Industrial Light & Magic discussion with Digital Artist John Goodson and Visual Effects Supervisor Bill George as well as preview the Star Wars™: The Complete Saga on Blu-ray? 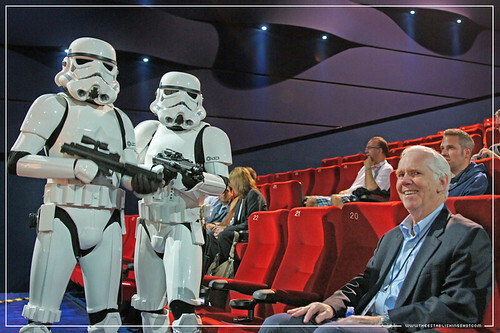 While waiting for the session Imperial Stormtroopers from the 501st UK Garrison ensured that the queue remained orderly, but a big surprise for me was meeting the original Boba Fett - Mr. Jeremy Bulloch. I see Bulloch at many conventions but this was the first time I have had the opportunity to chat with him. This impromptu moment alone was worth the trip to the O2 and I could happily gone home at that point had it not been for this moment a couple of minutes later. Which I would have missed had I gone home (obviously). 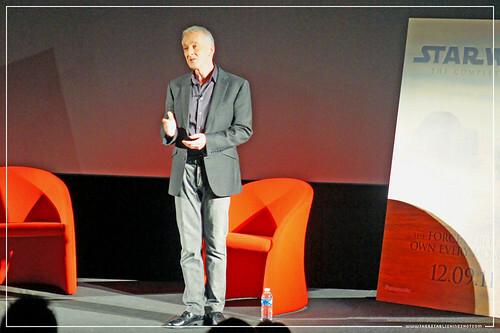 Anthony Daniels started with a great little tale of how when he was working on Star Wars™ A New Hope, he was so embarrassed he kept the details of his work very quiet. How things have changed. As the ILM Digital Artist John Goodson and Visual Effects Supervisor Bill George have come through practical special effects to computer generated effects Anthony Daniels was curious about the pros and cons of both. The team pointed out that one of the first CG effects ever created was actually in the first Star Wars™ A New Hope film. 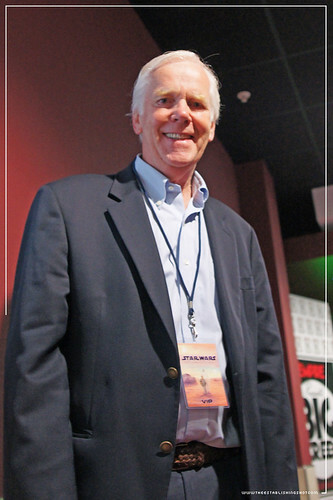 John Goodson saw Star Wars™ A New Hope on opening day and 31 times in total that year. Bill George Visual Effects Supervisor Bill George started at ILM in 1981 and conceded that back then creating an effect was different as you didn’t know how you would create an effect. All the departments would get together to figure it out; sometimes it would solved by building a miniature, sometimes it would be a matte painting, sometimes it would be solved through the costume department. You just never knew. These days as John says, it is all solved by the computer. You have this clay in the computer and every solution is derived from that. And it kind of takes a little bit of the fun out of it. 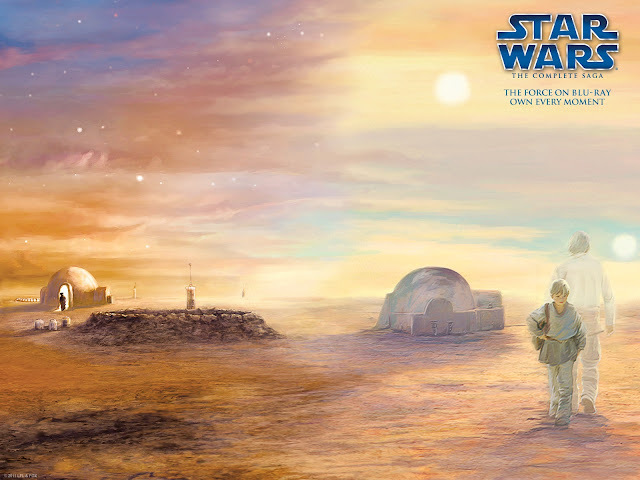 With Star Wars™: The Complete Saga on Blu-ray release this will be the first time that the first Star Wars™ trilogy will be seen at this high a resolution. And hopefully not too many errors will be popping out. ILM Digital Artist John Goodson: Yea, the problem was the best part of the model shop. If someone came in and said they wanted a plane to crash into a rice paddy at night. You would have to figure out how big the plane was, what it was made of, how you make the rice paddy, how does it interact with the water in the rice paddy and those type of problems. So all this problem solving. Using computers I always say anything from an artichoke to an aircraft carrier, you kind of do it the same way. How long does it take to model? How long to rig it? How long to paint it? It’s kind of like a conveyor belt. We then looked at some of the restored 40 Hours of previously unseen footage of an All Terrain Armored Transport (AT-AT) walker being pushed over by a stick and a hand on a miniature set from The Empire Strikes Back. I asked how big those particular All Terrain Armored Transport (AT-AT) walkers were to get a sense of scale. Anthony Daniels:Are the rumours that the original Death Star has been destroyed true? John Goodson: As with any models, there were a lot of different Death Stars used and presumably some of them have been destroyed but no the Death Star is in a museum in Seattle and I have seen it. Then Bill George explained the difference between matte painting and digital compositing. This is fairly common knowledge but if you would like to know more, below is a phenomenal 60 minute documentary on ILM history and techniques called ILM - Creating the Impossible narrated by Tom Cruise. Anthony Daniels: After the ILM team mentioned building life size Pod Racers for Star Wars™ The Phantom Menace. Daniels wanted to know how they fit into the computer generated film? John Goodson: Concept models are made by the Art Department. 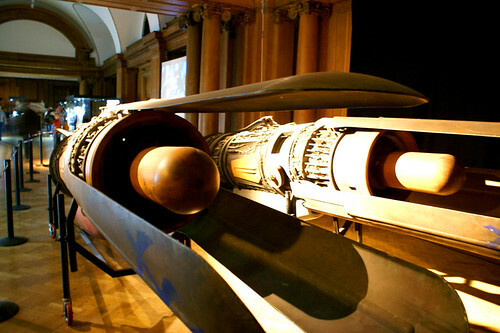 Then we would build large 1/8 scale models and they were used for a couple of different things; there are shots in the pod race hangar where we had all of them in there and we dress the whole set and vehicles. 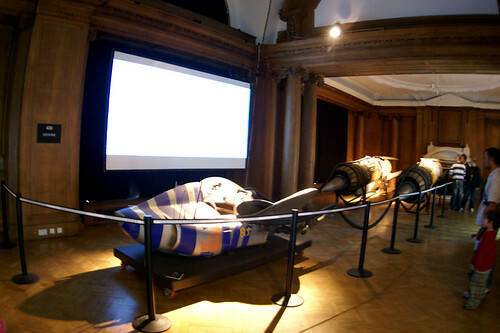 They are also photographed and those photos are used by the Digital Department to map onto the digital pod racers [so you get the real paint job and textures match on the digital models perfectly]. So we had full size set pieces, we had miniatures; we had the digital versions that were used for the flying shots. The digital models are more complex because they can incorporate all the moving features, it can have all the interior components and you animate every single component of it. Which would be much harder to do with a practical model. This was a nice segway into looking at the incredible high resolution detail of some of the models on the Star Wars™: The Complete Saga on Blu-ray as well as explore the menus. Audience question: How do you feel about moving from Frank Oz’s Yoda puppet to a digital version? John Goodson: The original foam latex puppet has a shelf life and won’t last for ever. Audience question: As this is the first time the original Star Wars™ trilogy will be seen in Blu-ray resolution did you have to make any changes to the films? John Goodson: The original foam latex puppet has a shelf life and won’t last forever. Bill George : No, we touched up the colours and not much else at all. Audience question: As this release will be in such high resolution are you concerned that viewers may be able to see Easter Eggs and goofs like Ken Ralston’s tennis shoe in the Death Star asteroid field, and have you done anything similar? John Goodson: The old everything and the kitchen sink space method? That tennis shoe is actually in Producer Howard Kazanjian’s office. Yea, the Naboo City miniature set was about 40-60 feet big and made in such amazing detail. Including those green gardens. I thought someone would have to mow those lawns. So I added a tiny guy with a lawnmower and over the next couple of weeks I noticed him being moved around with the set. Audience question: I don't know if anyone else has noticed this but in the new trilogy there is something weird about Chewbacca's feet and how they look misaligned to the floor. John Goodson: His feet were actually on the floor. But there is something we have called Uncanny Valley, as the human brain is too adept and there are too many subtle nuances for us to accept to some effects, like a computer generated human face. Subconsciously we reject them even though visually they are correct. Bill George : Also there is an assumption that because we are ILM, but we don't have unlimited resources and are often under pressure to meet deadlines so sometimes good enough is OK. Audience question: Will the deleted or never before seen 40 hours of footage be part of the films? Anthony Daniels: Apparently the 30 - 40 scenes will be one of the special features accessed via the menu and one hour of the 40 hours of film of the Star Wars™: The Complete Saga on Blu-ray. And that brought the Industrial Light & Magic Presentation For Star Wars™ session to an end. Apart from Anthony Daniels letting us watch the Star Wars™ The Complete Saga on Blu-Ray Trailer. And I don’t care how jaded you are when you hear the music and see those visuals the magic happens all over again. STAR WARS™: THE COMPLETE SAGA on Blu-ray. This nine-disc collection brings the wonder of the entire saga direct to your living room, where you can revisit all of your favourite Star Wars moments in gorgeous high definition and with pristine 6.1 DTS Surround Sound. Dive deeper into the universe with an unprecedented 40+ hours of special features, highlighted by never-before-seen content sourced from the Lucasfilm archives. 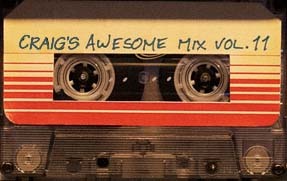 The comprehensive collection also features numerous deleted, extended and alternate scenes, new documentaries and a cross-section of the countless Star Wars spoofs that have appeared in pop culture over the past three decades. Marking the first time ever that the full Saga is available in one complete collection, this Blu-ray box set also features a coveted peek into the making of the Saga with vintage documentaries, audio commentaries, behind-the-scenes moments, interviews, prop and costume turnarounds, retrospectives and more. 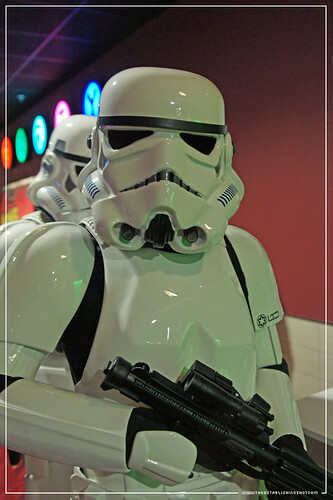 The Limited Edition Star Wars® Sentiype™ contains a unique 35mm film frame reproduced from the original film footage using state-of-the-art imaging and printing techniques. The film frame is mounted on premium quality paper and features original artwork from the Star Wars Blu-ray collection. Each Senitype™ is numbered for authenticity.